John Wayne's last film, The Shootist is a glittering final curtain on a gigantic career. The story of a terminally ill but still grizzly gunslinger planning for his own death provides impeccable closure to the man and his epoch. It's 1901, and Queen Victoria has just died. Aging gunslinger J.B. Brooks (Wayne) has killed 30 men in his lifetime, and claims that they all deserved it. Suffering from severe and continuous back pain, he arrives in Carson City, Nevada to be examined by his old friend "Doc" Hostetler (Jimmy Stewart). The doctor diagnoses terminal cancer. Brooks has at most two months to live, and his very final days will be exceedingly painful. 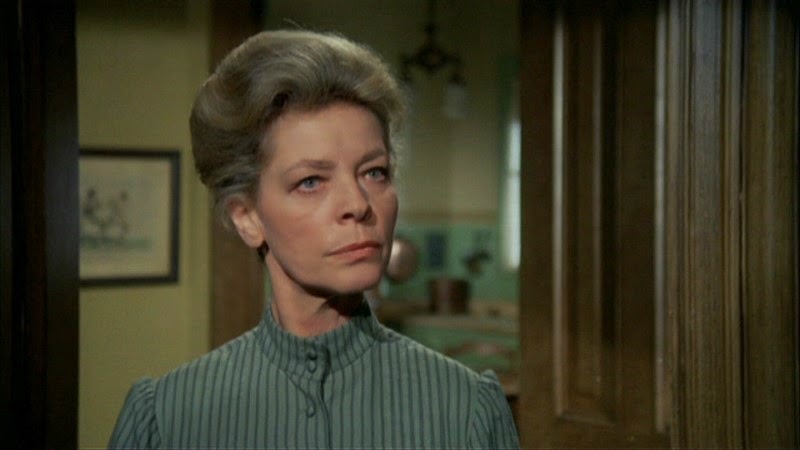 To prepare for his demise Brooks rents a room at the boarding house managed by the widow Bond Rogers (Lauren Bacall) and her teenage son Gillom (Ron Howard). Once Rogers realizes who her new guest is, she wants him gone, but he refuses. Marshal Walter J. Thibido (Harry Morgan) also tries and fails to convince Brooks to depart. Vultures like the local newspaper man (Rick Lenz), an old lover (Sheree North), and the local undertaker (John Carradine) try to figure out ways to profit from Brooks' impending death. But Brooks is making plans of his own. He can't cheat death, but he will face it according to his own code. The Shootist unfolds over just a few days, as Brooks comes to terms with the certainty of his end, ties up loose ends and turns out the lights with dignity. He finds in Bond and Gillom suitable companions to accompany and tolerate him on his final days, and director Don Siegel allows the movie to flourish as Brooks opens his soul for the first and last time to a widow and her fatherless teenager. Siegel centres the film on Brooks and deploys the pace of a smooth character study, a few scenes of jolting action and witty humour punctuating the journey to the final climax. Contrary to some popular myths, when filming The Shootist Wayne was not yet diagnosed with the cancer that eventually killed him in 1979. He also did not intend The Shootist to be his final screen performance. That this proved to be his final film and foreshadowed his ultimate struggle with terminal cancer was a turn of fate, an exclamation mark on a career that started in 1926 and ended exactly 50 years later. And what a performance to end on. Wayne portrays J. B. Brooks as singularly uncompromising, his intentions and methods stringent, his values untouched. Brooks may be dying, but he will define the day, time, place and method, and Wayne closes his filmography with a towering show of inner strength, Brooks' resolve undermined only by his failing health. And it's not just J.B. Books who is dying. As represented by the death of Queen Victoria and the turn of the century, his whole era is coming to an end, the world is moving on, and gunslingers who live by a rigid and ruthless code are turning into fossils from the past. By now the glorious era of Westerns was also a distant memory, Spaghetti Westerns had come and gone and spoofed the genre into the ground. Violence-drenched odes to the old men of the west like The Wild Bunch (1969) had pushed the genre to its limit, and there was little new territory to explore. The Shootist writes the final chapter with more reflection than violence, allowing the hero who symbolized an era and the genre to exit on his own terms. 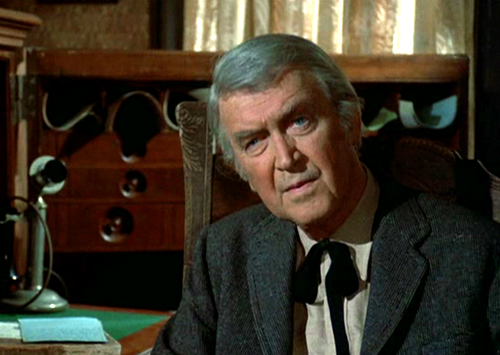 James Stewart (in a relatively small role) and Lauren Bacall join Wayne as stalwarts from a bygone era. Ron Howard's Gillom represents the next generation, and he is the only character thrilled to have Books around. Gillom overlooks all of Books' lethal tendencies and simply considers him a legend, a man to admire and emulate, in an apt metaphor of how the present views the Western past. 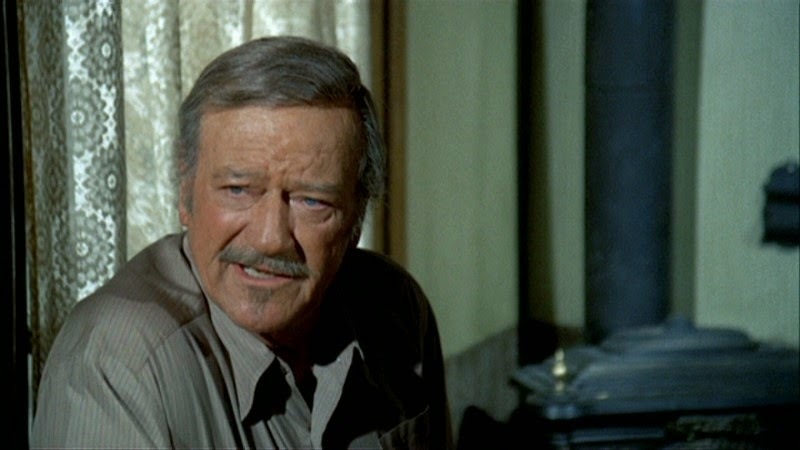 In addition to John Carradine, there are key appearances by the likes of Richard Boone, Hugh O'Brian and Scatman Crothers. Not many acting careers end at the top. In The Shootist John Wayne was able to ride off into the sunset with his head held high, unbowed by the changing times and still in charge of his destiny.